Try not to go mad and shoot yourself. This is important. With trembling fingers, your character unearths the next piece in the puzzle, the one that might just save us all from something worse than damnation. But is it the right one? After all, you don't really know which of the three unspeakable entities is about to appear at Stonehenge, and if you perform the wrong ritual ... well, some things are best not spoken of. What fiendish brain could devise this Consuming World? Well, that would be Yahtzee Croshaw, he of imps and Jam. Yahtzee's put together a Lovecraftian freeware roguelike, inspired by Arkham Horror, that he'd like you to beta test. The Consuming Shadow asks you to deduce which God is about to destroy us all, and stop it before it starts. As it's a roguelike, everything changes each time you go in, so every playthrough should be a new experience. But that also means that each playthrough features a different God, so if your Sanity drops through the floor and you put a bullet in your head, the identity of the entity changes. All those carefully gathered clues, wasted! 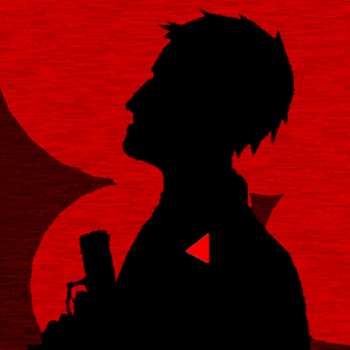 Click here to read Yahtzee's description and download The Consuming Shadow. At least there's an experience system working in your favor. You can carry experience over into your next existence, so if you die you should be able to upgrade your next character. It may only be a slight advantage, but it's better than nothing. Now, it's time to seek out the local leader of the minions of the Shadow. A few hollow points should deal with it, and then maybe, just maybe, you'll find that missing piece you've been looking for. Keep in mind, this is a beta and Mr. Croshaw is interested in feedback to improve Consuming Shadow. Follow the instructions on his page here to submit this glorious feedback. "Ph'nglui mglw'nafh Cthulhu R'lyeh wgah'nagl fhtagn" doesn't count as feedback, just so you know. Update: Changes! All change please. Thanks to your feedback, there's now a new version. "I've been made aware of a bug that causes crashes to desktop, so I've made a version 1.0.0.1 that fixes that and a few other issues," says Yahtzee. The update "also adds keyboard controls, which was by far and away the most requested feature."